Today's leaders are busier than ever. They operate entire businesses, manage departments and empower teams. But at the end of the day, they're humans too. UNC Kenan–Flagler is a top-ranked business school at the University of North Carolina at Chapel Hill. Rigorous academics coupled with real-life learning experiences have proven an effective leadership development combination in the business school’s highly regarded MBA programs. Exceptional leaders from notable backgrounds such as The Coca-Cola Company, Citigroup and Deloitte have all been shaped by the diverse and highly-competitive Executive MBA programs offered at UNC Kenan-Flagler. The landscape for higher education is very fierce. Not only are students vying to get into the best schools but schools themselves are trying to attract the best talent. As such, we wanted to distinguish UNC Kenan-Flagler and increase its visibility among prospective students seeking graduate education. This entailed battling preconceived notions surrounding Executive MBA programs. One misconception that was frequently voiced by surveyed individuals was the idea that getting an EMBA means sacrificing work, family and aspects of one’s overall life. With the thoughtfully designed curriculum and convenient schedule of programs at UNC Kenan-Flagler, this was far from true. Crafting a poignant message that dispelled the misconceptions about pursuing an Executive MBA at UNC-Kenan Flagler was critical. This meant gaining perspective and strategizing about the creative architecture of the campaign. We analyzed student data and feedback, and came to the conclusion that what many prospective students sought was balance in their lives. Therefore, we wanted to showcase getting an EMBA as a natural part of growth; that it can go hand-in-hand with other priorities. 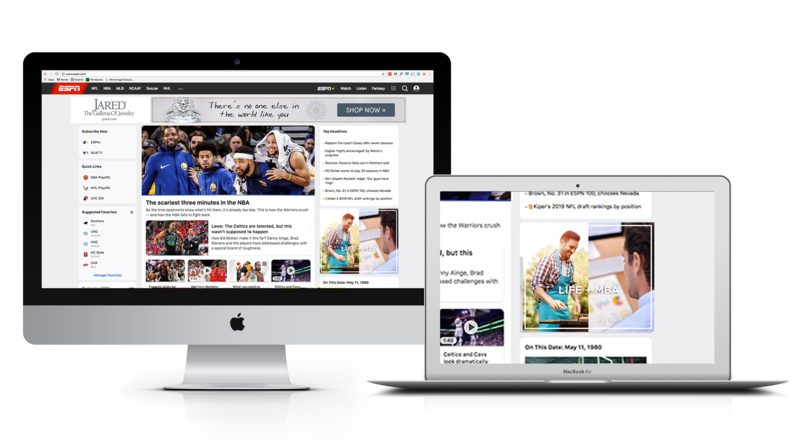 It was imperative for our content to be relevant to the audience we were trying to reach, as compelling content drives prospects. We identified three main priorities that our audience has: life, career and family. In all of these areas, nothing has to change if they decided to pursue an EMBA. Whether it’s living their lives, developing their careers or spending time with their families while also getting an EMBA—they are able to do both. This is the heart of the campaign. 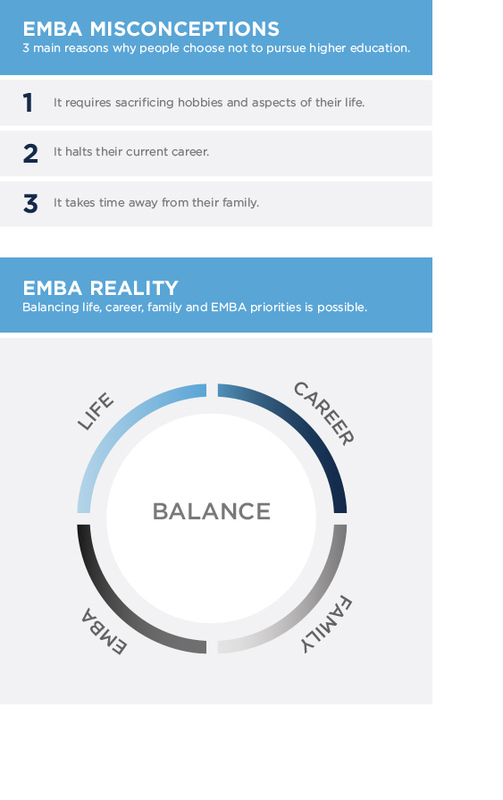 We took the core of this message and created a meaningful campaign around balancing life priorities and an EMBA. Our team wrote impactful copy to accompany our design and development of UNC Kenan-Flagler’s new EMBA ads. We created 8 sets of HTML5 ads at 6 different sizes for each set—a total of 48 ads. For each set of ads, we carefully selected 2 images: 1 image that portrayed life and 1 image that portrayed the EMBA commitment. As the HTML5 ads run, viewers see the two images come together in harmony. 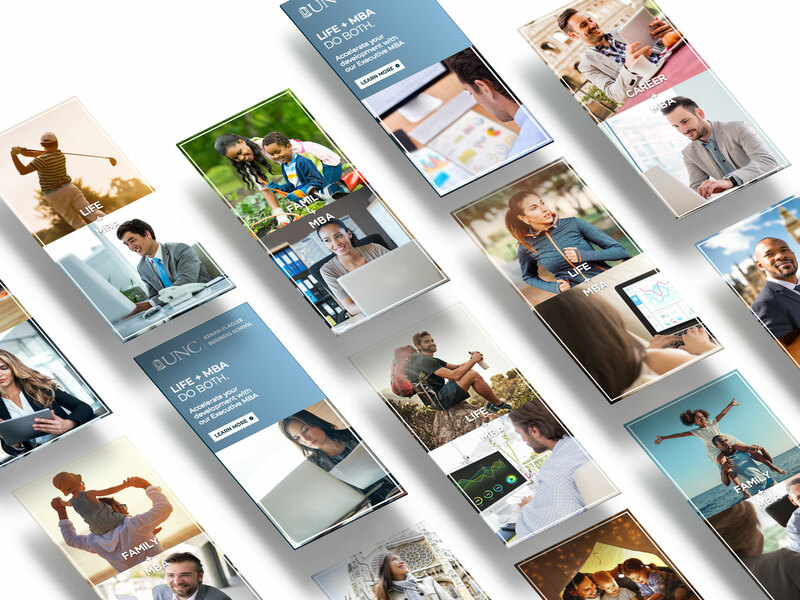 With a new message, creative approach and digital media strategy, we were able to help UNC Kenan-Flagler launch a successful marketing campaign for its Executive MBA programs. In comparison to the old EMBA ad campaign, metrics such click-through-rate (CTR), clicks and inquiry conversions for the new EMBA ad campaign all increased substantially. The CTR in particular saw an increase from 0.15% to 0.19%—an average increase of 27% from the previous campaign to the new one. Connecting with prospective students using a message that resonated with their desires and pain points was key. Further cementing this message with compelling images and an overall appealing look was also significant. Through research and strategy, our team was able to utilize insights to not only address concerns but also inspire prospective students to pursue an EMBA. Being able to resonate with our audience in this manner allowed us to engage with them on a deeper level. Striking a chord with our audience translated to more qualified leads and conversions, with an evident increase in both clicks and inquiry conversions. 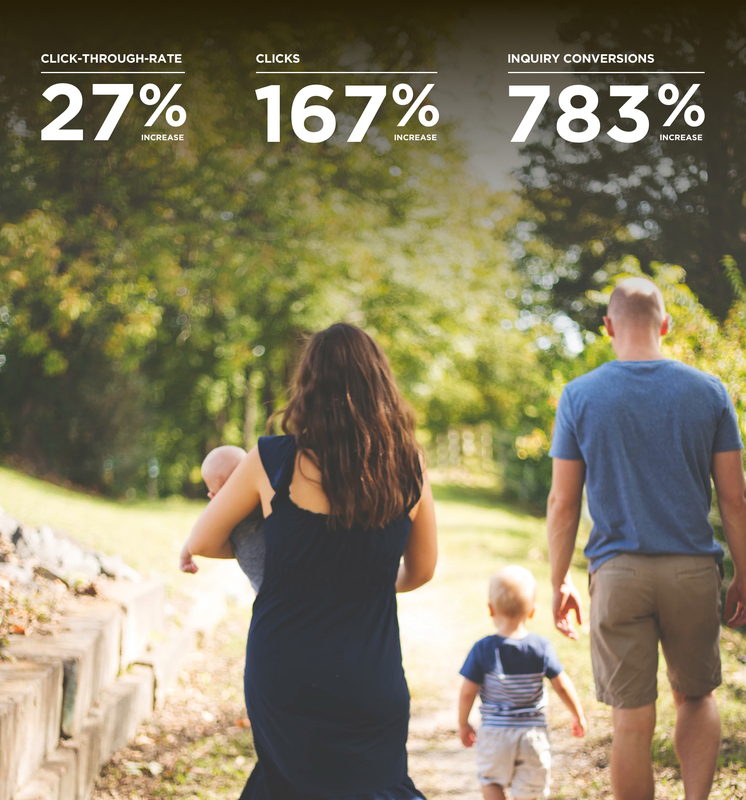 The new EMBA ad campaign, combined with increased ad spend, helped clicks surge by 167% and inquiries increase by 783%. These metrics indicate how critical the right combination of messaging, creative and media targeting strategy are in advertising. By pinpointing these areas early on and executing them with strategy, Mellonaid was able to help shape the outcome and performance of UNC Kenan-Flagler’s EMBA marketing campaign.